Malahat volunteer Lauren Korn talks with WordsThaw Prize judge Arleen Paré about CanLit, inclusivity, and writing influences. 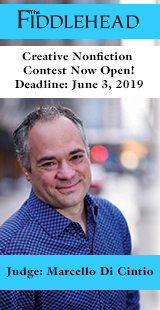 The WordsThaw Prize is open to all emerging writers who live within the Capital Regional District (Victoria and surrounding areas). Two prizes of $500 will be given away! 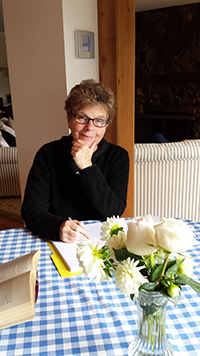 Arleen Paré has graduate degrees in Social Work, Adult Education and Creative Writing (Poetry). Originally from Montreal, she worked for over two decades in Vancouver in Social Service bureaucracies. Paré has published four books, Paper Trail, Leaving Now, and Lake of Two Mountains, and He Leaves His Face in the Funeral Car. She now resides in Victoria, where she lives with her partner, Chris Fox. She has two adult sons. Click here for details on entering the WordsThaw Prize contest. 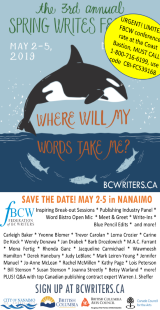 As the WordsThaw contest judge, what role do you wish Canada (its landscapes or various cultures), or more specifically, Victoria, to play in the shortlisted and winning submissions? Further, what role or responsibility do contemporary Canadian poets and writers have to speak to a (or the) Canadian identity? How do you see your own poetry and fiction speaking to that responsibility or to that identity? The submissions will come from Victoria’s rather large and active writing community, and although writers often use place in their writing, I don’t need place to play any role at all in these submissions. I don’t pay much attention to matters of national responsibilities or identity. Although Canadian literature was initially overwhelmed by British literature, and subsequently by American literature, and despite the current pressure of American marketing and the Internet, I think most Canadians recognise ourselves as culturally distinct, with little need to defend that. I believe the phenomenon of literary influence occurs world-wide and that Canadian literature is well-respected and influences other literatures beyond our own permeable borders. Canadian writerly identity is well-established, many thanks to the CanLit movement in the 1960s and ‘70s, and to institutional government supports. I’m optimistic that Canadian culture will flourish, and I think this is especially true now, when it is clear that we are not Americans, in almost any sense. I’ve been having the “What distinguishes Canadian literature from literature published by the rest of the world? What is CanLit?” conversation with peers, and it seems to me, to be scholars and writers of literature means to constantly return to these questions. My question then becomes, why does distinction matter? Why is it necessary for Canada’s literary community(-ies) to set itself (or themselves) apart from those in America and the rest of the world? Has the conversation ever been one of how Canadian literature has been influenced by that of other countries? And why, then, has that influence been so deafening to Canada’s literary sense of self? 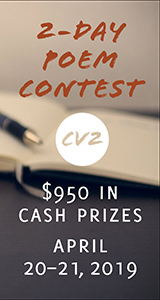 Are there voices, identities, and/or perspectives you would like to see represented in the contest entries that you feel may be lacking in published literature in Victoria and/or Canada? Whatever is lacking, whichever literatures are absent, I would like to see. There are so many pleasing surprises when our minds are more open, inclusive. I think inclusiveness is key at this moment in literary history, and most individual writers and most institutions are aware of this. There is, of course, excellent writing in all of Canada’s many writing communities. I think it’s important for writing contests to ensure that the call for submissions is widely-dispersed and well-targeted so that writers in under-represented communities can respond. I recently listened to a 2014 interview with Canadian author Sheila Heti, wherein she says, “I don’t think anyone’s trying to have a Canadian career.” She was speaking to the idea of audience, how writers just want the largest audience they can garner, and Canadian writers aren’t necessarily seeking out an audience that’s strictly Canadian, though the reality for many is exactly that. How do you think the idea of audience—especially, perhaps, for poets—plays into the writing process? When you happen upon and choose to further a project idea that takes Canadian culture or its landscape as its inspiration, are you thinking about the limitations your subject matter might have, regarding your audience? I am a late-budding poet and, frankly, the idea of audience is not my major concern—though I am aware that audience can be critical for some and, perhaps, for awards. I write for myself. As a poet with a presumed ear to the ground, re: contemporary poetry and literature, what are some trends or conversations that have been rising to the surface? What or who is being talked about with fervor and excitement? 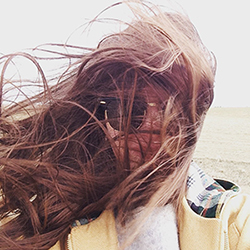 My ear is not very close to the ground and not particularly reliable; I am not really in the flow, I’m afraid. Right now, I am interested in the poetics of Elise Partridge, Ocean Vuong, and Eileen Myles. What about the poetics of each of these poets are you interested in, and how do these interests play a role in your own poetics? Elise Partridge, a Canadian poet who died recently and whose poetry came to my attention through Anita Lahey, is important to me in that she writes very distinctly, very differently from me. In her last book, The Exile’s Gallery, her poems are tight, spare, perfect constructions. I know I can learn from this and so I am paying attention to her poetics. Ocean Vuong is currently popular, political, and gay. His poetry is smooth, careful, ranging, tucking in disturbing pieces of information. How he manages to convey this kind of history is stunning. I haven’t read much of Eileen Myles, yet, but her loose and conversational style gives much license. This is particularly useful when I think of expanding my own style. American performance poet Arthur Flowers once said that, while writing, he avoids reading other writing that will “leak.” That is, he avoids reading writing similar to his own, writing that may leak into his own. Do you follow this same practice? What and who do you read while working on your own projects (aside, perhaps, from the research you must do for those projects), and what or who are you reading right now? No, I don’t follow Flowers in this practice. In fact, I might be more interested in reading something that was similar to my own project. I read poetry while writing poetry. I read mysteries when I’m relaxing, or when I’m sick. Right now I’m reading Richard Wright’s Clara Callan and Elise Partridge’s and Eileen Myle’s poetry. And e.e. cummings. And on the side of my dresser, waiting, is Wanderlust: A History of Walking, by Rebecca Solnit. In writing The Girls with Stone Faces, how much face-time did you have with the art of these two women? What was your writing and researching process? How were you introduced to these two women’s work in the first place? I loved writing about the Girls and their art. This was a very compelling project. I first “discovered” their sculpture about five or six years ago at the National Art Gallery in Room 105A, which was filled with their art—a rare, exclusively sculptural exhibit. Much of their art is owned by Ontario institutions: The National Art Gallery in Ottawa, The Art Gallery of Ontario in Toronto, and Ottawa’s War Museum. I was able to visit the Ottawa National Art Gallery and the War Museum on numerous occasions (my sister lives in Ottawa and I visit regularly), and I was also able to arrange visits to the two museums vaults with very helpful staff. That was an enormous bonus. I visited Toronto’s Art Gallery of Ontario as well and on one occasion was fortunate enough to see a large travelling exhibit of Henry Moore’s work. I read the Loring/Wyle’s two available biographies, the most recent one of which came out while I was still writing this collection. As well, I tried to find out, for instance, where the Girls sourced their clay, but although I contacted numerous individuals in Toronto who I thought might know, I was unable to get a clear answer. It seemed no one still alive knew. Some details, I imagine, are too buried, too distant, or perhaps considered too unimportant to record. Why did you, personally, consider that question—where did the Girls source their clay?—important? What did you hope to gain by obtaining the answer? All aspects of the subjects’ lives, all details of the object of writerly attention, are interesting, important. Each detail provides more depth into their lives. The source of their clay would have told me whether they were using a brick-making company perhaps. That would have expanded my understanding of their day-to-day lives. Did the clay come to their front door? Did they phone in an order? How often? Could their clay have become a brick or a vase or a Torso? Curiosity, more exact detail, being closer to the real shape of their lives—all this leads to stronger poetry. Why do you believe the stories of these two women—Florence Wyle and Frances Loring—left the country’s consciousness for so long? Why do you think their stories and their art are worthy of being unearthed? Like fashion everywhere—in art, sports, in clothing—tastes change for a number of reasons. In the case of Loring and Wyle, the two wars left much of classicism behind, and other sculptors, like Henry Moore and Barbara Hepworth, began to sculpt very differently, using shapes and forms that disgusted Loring and Wyle but that caught the imagination and zeitgeist of the times. Other Canadian neo-classical sculptors were also left behind and largely forgotten. But because Loring and Wyle were so pivotal in shaping the arts in Canada, because they were important female artists, because they were colleagues of the Group of Seven who were not left behind, because their art is completely stunning, I believe they should not have been forgotten so thoroughly by so many. They are important figures in Canadian culture. It must be an enormously overwhelming feeling to know that you and your poetry will be the reason so many people return to their art, and to know that your book will be seen as something of historical artifact alongside their biographies, their sculptures, and their collective narrative. They are about to be on the new Canadian one hundred dollar bill, so they are still known and respected, but in a very limited way. I hope my book will prompt people to investigate and appreciate their art. You’ve assigned each section in Girls a Room-related title. In these sections, you seem to be playing with space: on the page, with each poem’s form, and with gallery and creative space—but also with space as absence: the absence of these women’s stories and their bodies from contemporary discourse, and the way their art visually reflects or reveals absence (e.g. the absence present in desire). Could you speak to the way you’ve chosen to organize and title each section of this collection? The organization of a collection is always an exciting challenge. The book seemed to organize itself into room-related divisions from the outset. My first encounter with their astonishing sculpture was in a well-defined Gallery room, curated and arranged to display their art to its best advantage. The room seemed almost holy with the beauty it contained. This first encounter, when I kind of fell in love with these two women and their art, was significant. I can bring it to mind still. That room was an important part of my engagement with them. Besides, the idea of rooms is flexible and allowed me to fill or empty the relevant spaces. I’m glad you can see that. It wasn’t, perhaps, intentional, but it was hard for me to ignore the threads I found between your rooms/sections and the almost-too-literal idea of Virginia Woolf’s A Room of One’s Own. The threads are stretched taught, probably, but there seemed to me something of a connection between Woolf’s ideas surrounding gender politics and the importance of spaces in which one can engage with and make art. There may have also been an overlap in their respective timelines of productivity, but those lines of inquiry seemed, after a surface-level Google search, tenuous; though Wyle did craft a memorial tablet for Cavell, a Canadian nurse, which lives in Toronto (I think). In Woolf’s The Years, two of her characters walk by and ponder what I believe to be a different Cavell monument, allowing Woolf to illuminate her interpretation of Cavell’s ideologies. You are right, there was no intentional connection between Virginia Woolf and Loring and Wyle, but I think it’s interesting that you found links there. Do you have any education in the visual arts? If so, did this allow an ease with which you could write about sculpture and art? If not, how did you begin to educate yourself about the different ways to write about art? (Or is this the poet’s advantage? A curious and acutely observational eye?) To that same end, what prior geological knowledge did you have when you set out to write Lake of Two Mountains, and if you knew little, how did you begin your research? I enjoy sketching and have taken a number of visual art and art history courses, but beyond that, I have no education in the visual arts. I have a friend, Kathy Ross, who is a sculptor and who has worked in bronze. She helped me with some aspects of the process. I spoke to another sculptor by phone, a friend of a friend, Mowry Baden, who talked about his process as well. The two existing Loring/Wyle biographies contained material about the work that went into detail about the making of their sculpture, as well. I almost took a sculpting course so that I could experience the process. I looked at art text books. And of course, I did manage to view their art several times, and talked to a couple of curators at the National Gallery, Charles Hill and Christopher Davidson, on separate occasions, about the art of Loring and Wyle. All this contributed enormously to my understanding. For Lake of Two Mountains, I had no prior knowledge of geology. I spoke with a friend who had studied geology. I read volumes about the geological terrain around the Lake of Two Mountains both online and in paper reports of the region. I called the departments of geology and spoke to faculty at the University of Victoria and at the University of Montreal. There were particular rocks I wanted to identify. It was its own education and very interesting. It’s one of the perks of poetry—you’re made to learn so much. Could you speak to your decision to use Michael Redhill’s words as the epigraph for your collection? (“And poetry can also be sculpture, or at least more like sculpture than it’s like conversation.”) I’m curious, too, as to why you believe poetry is less of a conversation. I liked that Michael Redhill related poetry and sculpture. Maybe that was all, but I think it’s curious that he thinks of poetry that way, that poetry is a shape, shaped, becomes fixed. You believe, then, that poetry is less of a conversation and is, as you say, fixed? Of course, many poets “answer” other poets, both living and dead. They respond to their work. And intertextuality is a common interest and practice in poetry, so I think poetry is conversational in that way. But when a poem is published, it becomes fixed, on the page at least, and maybe, too, in the public consciousness. But more importantly, I think that the crafting of a poem is like crafting a sculpture, the precision, caring about the shape, the details (often spare, though sometimes with some ornamentation). The result is more an artifact, less an exchange. What does your writing space look like? A desk? A kitchen table? A particular chair at your public library? What objects occupy that space? I work in the tiniest room, no more than eight-ish by six-ish, and under a sloping pyramid of a ceiling. One small window faces the neighbour’s sloping roof. My office is on the second story. There’s a squirrel that runs the roofline, back and forth, almost every day. It’s just lucky that I’m not tall. This room is so low that tall people can’t enter the room without danger of head injury. I work at a computer desk littered with ordinary stuff: a computer, printer, phone, pens, paper clips, scraps of paper, calendar, etc. Pictures of my kids, grandkids, my wife. Decorated with the art work of my kids and grandkids. Oh, and some books. The usual. In line with the previous question, are you superstitious at all about your writing? Must the circumstances and conditions surrounding your process be exact in order for your writing to be productive? I.e., how do you write? I write mainly at my computer, but I sometimes write in the middle of the night, a few lines in the dark to remember what brilliant idea, or not-so-brilliant idea, sprung up while almost sleeping. I have no superstitions about the writing, but I like to edit standing at my tallboy. I like to call this handy dresser a tallgirl. It doesn’t seem to mind. 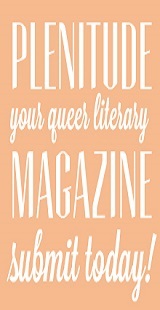 Your reputation and the reception of your writing has allowed you to act as something of an authority on literature. 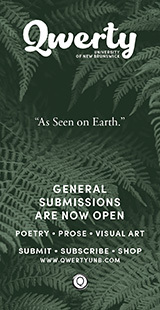 In anticipation of judging others’ work for the WordsThaw Prize, I’d like to ask you to put your judge’s eye on one of your own poems or collections. What about this piece (or collection) would make it a WordsThaw Prize winner? What about it speaks to an understanding of or grasp on Canadian literature? Oh, my! Well, to make this an easy answer, I could choose Lake of Two Mountains. I could say that because it won the Governor General’s Award for Poetry, it might win the WordsThaw Prize. I might say that it’s about a Canadian lake, Canadian experience, that it captures Canadian history and geography. As for its grasp on Canadian literature, I cannot say.